Under the harsh summer sun, Mari's art class has begun. 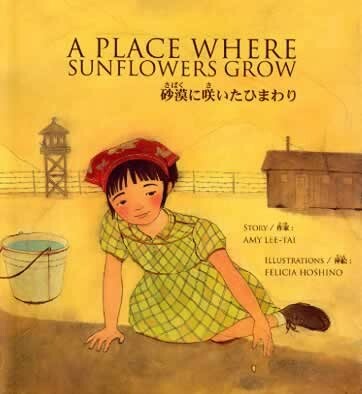 But it's hard to think of anything to draw in a place where nothing beautiful grows -- especially a place like Topaz, the internment camp where Mari's family and thousands of other Japanese Americans have been sent to live during World War II. Somehow, glimmers of hope begin to surface -- in the eyes of a kindly art teacher, in the tender words of Mari's parents, and in the smile of a new friend. 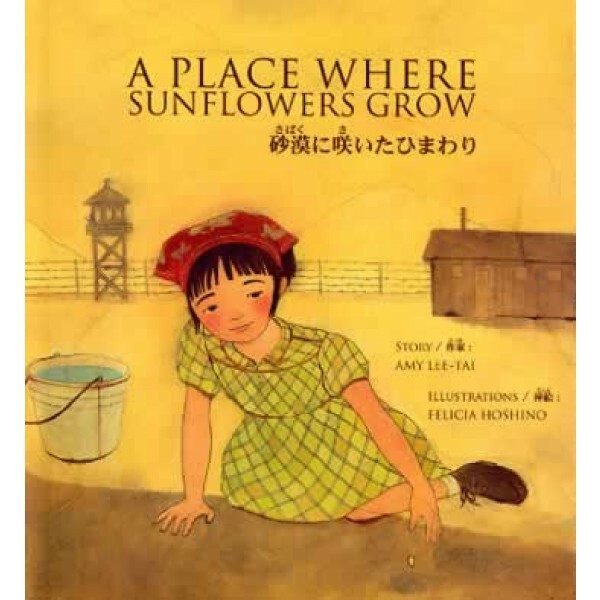 Amy Lee-Tai's sensitive prose and Felicia Hoshino's stunning mixed-media images show that hope can survive even the harshest injustice.